Basement waterproofing keeps your interior dry but also helps maintain good air quality indoors. Having good indoor air quality is important because pollutants, even biological ones, can have profound effects on your health. The presence of water isn’t the only concern. Aside from mold and the damage caused by moisture, dust, dander, chemicals, and animal waste can accumulate in poorly maintained interior environments. The U.S. Environmental Protection Agency’s research suggests people are indoors about 90% of the time, and that organic pollutants may be two to five times more prevalent inside homes than outdoors.1 Basement leaks and crawl space damage can quickly create conditions that affect indoor air. Left unchecked, poor air quality can cause acute physical symptoms and long-term health effects. Air pollutants in your home can have far-reaching effects on your health. The symptoms may appear quickly after exposure, but it can also take years for air-quality-related symptoms, conditions, and diseases to appear. Eye, nose, and throat irritation: Potential causes include biological agents, such as dust mites, animal dander, or mold. However, compounds such as formaldehyde, nitrogen oxides, particulate matter, and organic chemicals can trigger such reactions as well. Headache: A possible sign of CO poisoning, but this can also occur due to formaldehyde, which is used in some wood products and even personal care items. Cleaning agents, solvents, glues, paints, air fresheners, moth repellents, and other organic chemicals can initially cause respiratory irritation and headaches and more serious long-term effects such as organ damage and cancer. If immediate effects are noticed, the treatment is often to avoid exposure to the source, even if it’s hidden in the basement walls. The occurrence and severity of these reactions, including allergies, depends on the level of exposure, sensitivity, and preexisting medical conditions. 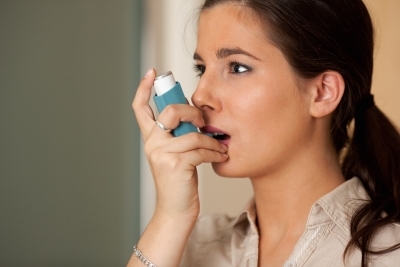 Asthma : About 23 million people in the U.S. have asthma. 3 This chronic respiratory disease has no cure. It can be controlled with medication, and often the patient’s environment is a factor. Therefore, it’s important to identify the triggers, which may include mold, dust mites, and animal dander. Phthalates—often added to plastic products (toys, cosmetics, food/beverage packaging, and automotive parts) for softness and flexibility—can trigger asthma and other respiratory symptoms. They’re also associated with rhinitis, but reproductive and developmental problems are possible, especially in young children exposed to these substances. Organ damage: Lead exposure is notorious for the brain, nerve, and kidney damage it can cause. Children are especially vulnerable, and lead can affect normal growth as well. Many organic chemicals can damage the kidneys, liver, and brain, while ozone can cause permanent lung damage. Infectious diseases: Repeated sickness or ailments of unknown origin can come from various biological agents, like mold, dust mites, bacteria, and viruses in polluted indoor air. Heart disease: Smoke from cigarettes, cigars, and pipes, as well as exposure to particulates, can increase your risk of cardiovascular disease. The effects include high blood pressure, arterial blockages, heart attack, and stroke. Cancer: Asbestos insulation is a known cause of lung and other cancers. Tobacco smoke in the environment—even for non-smokers, formaldehyde, chemicals such as solvents/paints/cleaners, and particulate matter can raise your risks, too. Breathing in particles from cigarettes, cooking, and vacuuming can lead to problems. So can inhaling those from fireplaces and others that react with ozone (from fragrances). The presence of mold and mildew, particulates, and other indoor air pollutants is often a factor of other issues. As particulates can easily be tracked in from outside, using entry mats can limit some of them. Changing air filters can clean up the air in your house. Avoiding the use of or replacing building materials, furnishings, and household products that emit volatile organic compounds can help. Moisture: Humidity, dampness, and leaks provide the ideal environment for mold and mildew, as well as bacteria, to proliferate. 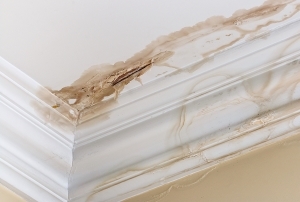 The presence of water and water damage also attracts insects and rodents, which can subsist within crawl spaces, basements, and ventilation systems. Mold spores and byproducts of biological organisms can then circulate pretty much anywhere in the building. Ventilation: Usually, indoor air is sealed off from outside air. Ventilation systems continuously recirculate air that, although heated/cooled by your heating, ventilating, and air conditioning (HVAC) system, may contain pollutants. Improperly ventilated crawl spaces are problematic as well, as many are still vented to the outside and exposed to humidity and moisture. Dirty air ducts may contain mold, vermin, dust, and debris and bacteria that don’t just pollute indoor air but also reduce HVAC system efficiency. Flooring: Any flooring material, especially carpets, must be water-resistant and able to block any water from getting under the surface. Moisture that reaches carpet pads often doesn’t dry up, leading to mold problems. 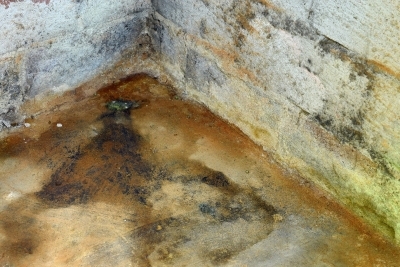 Especially problematic are carpets near water sources and on concrete slabs, where water (in liquid or vapor form) can creep up through the slab. Also, slabs are often colder than the basement air, causing any moisture in the indoor air to condense. Windows: Energy-efficient windows are all the rage. While cost savings don’t always justify switching out every window, efficient products tend to be less prone to condensation. You could, therefore, prevent mold growth. Lead-based paint can be a concern, particularly in pre-1978 window sashes and frames, which can release lead dust when windows are opened and closed. Replacing these is a good idea. Combustion appliances: Improper use of equipment can lead to unsafe conditions such as backdrafting, which is caused by a depressurization of the interior air as air is exhausted from the building. As a result, air and combustion products can be pulled back in from chimneys and gas water heaters. Fireplaces, leaky ductwork, wind, and the stack effect of rising warm air (which depressurizes air below it) contribute to the problem. Radon : A damp basement isn’t your only possible concern. A radioactive gas that occurs in nature, radon (a decay product of uranium) can enter indoor air and drinking water from underground soil. It is the leading cause of lung cancer for non-smokers, and it affects smokers as well. 4 There are tests for radon, and identifying and fixing the problem is easier and more affordable before a basement is completed/remodeled. Basement waterproofing systems are just one answer to improving indoor air quality. There are many other solutions, depending on the type, size, and scope of the problem. The crawl space is one area that must be addressed. Improper sealing and insulation can affect the air in your entire home, even though the crawl space is rarely seen. By taking the following measures, you can protect the rest of the home and make the space a better environment for storage. Crawl space encapsulation: The process can waterproof a crawl space basement by stopping moisture from penetrating the interior. It can address humidity issues caused by warm outside air, leaky drainage pipes, or poor drainage around the home. If there’s standing water, dark streaked walls, or a musty odor, protect the crawl space with a waterproof, condensation-proof vapor barrier and proper ventilation with dry, conditioned air. This prevents mold growth and additional water damage. Ventilation improvements: Increasing the air flow from outdoors can reduce the number of indoor air pollutants. This can be accomplished by opening windows and doors and installing outdoor HVAC air intakes. 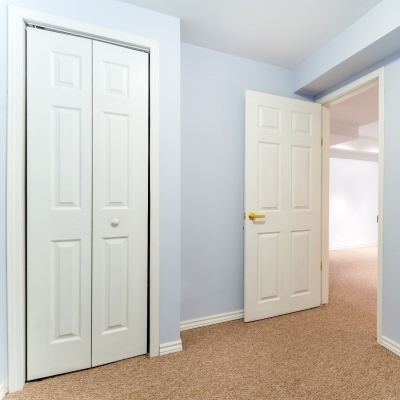 In most homes, some air naturally infiltrates through spaces in walls, floors, ceilings, and around doors and windows. Ventilation can be improved mechanically, but simply opening a window can help. Air Cleaners: Air cleaning devices come in mechanical forms, which include high-efficiency particulate air filters and electrical models that trap charged particles through electrostatic attraction. Some air filters use a sorbent to capture gases and odors while other cleaners use ultraviolet light to destroy pollutants with either UV light or ozone. Not every cleaner is designed for every pollutant; factors such as efficiency level and circulation rate are important as well. The EPA’s information on air cleaners explains the different types and considerations. EZ Breathe – Budget Basement’s waterproofing solutions are highly effective, and crawl space repair can eliminate key sources of indoor air pollutants, but another solution dramatically improves air quality. EZ Breathe is a ventilation system that effectively replaces contaminated indoor air with fresh air from outside. The replacement cycle repeats 7-10 times per day. Used in homes, hospitals, nursing homes, kennels, and veterinary clinics and by mold remediators, the system can prevent many issues related to damp/musty basements or crawl spaces. It’s effective at eliminating moisture, mold and mildew, odors, bacteria, and toxins. Also, it can prevent wood rot, restore stagnant/stale air, and help people with allergies and asthma. Do you have visible moisture or water damage, dirty vents or ductwork, or symptoms of exposure to indoor air pollutants? Budget Waterproofing Inc can help, whether the source is water entry, condensation, or issues with ventilation or your crawl space house foundation. We’ve been in business for over 55 years and are A+ rated by the Better Business Bureau of Maryland. Our basement waterproofing techniques and equipment are state-of-the-art, and all technicians are licensed, insured, and bonded. For a free estimate, information on how we can help, details on financing, and for emergency service, contact us online or at (410) 609-1240 to improve your indoor air quality today!